Lead generation for VOIP products and services is virtually difficult to pull off. For one, lead acquisition costs have increased over the past years as companies have become exposed to new tools and techniques. Before, telemarketing and email marketing were the two main modes for getting the attention of interested buyers. With the way things are going, IT and tech vendors offering various VOIP solutions (e.g. phone and web communication systems) have included social media and SEO marketing to the mix. As they say, the more the merrier – and pretty much messier. No doubt managing a handful of marketing channels broadens your brand’s reach, but there is a need to consider the challenge it presents in terms of measuring conversion potential and revenue attribution. VOIP businesses would therefore have to employ better tactics that do not fall short of providing high quality results without incurring added costs. For this, we turn to telemarketing. Indeed. Why should we focus cost-saving initiatives on telemarketing rather than on other marketing channels? The obvious reason is that telemarketing provides VOIP businesses a more personal and direct approach toward getting high quality leads. In fact, most B2B enterprises from various industries today cite outbound calling as most effective for contacting, nurturing and closing leads. On Linkedin Pulse: IT Lead Generation: Are you Riding on these Trends? Effective profiling: Prior to the campaign, Callbox discussed the client’s specifications and successful call criteria, which then effectively guided outbound callers toward prospects within range of the client’s requirements. Segmentation: Callbox also segmented the client’s contact list by location and by industry. For this campaign, the client required leads from the manufacturing, retail, financial and insurance sectors within the Southeast Asia region. Having organized the campaign in such a way, callers were able to effectively maximize their time and efforts in contacting the leads. 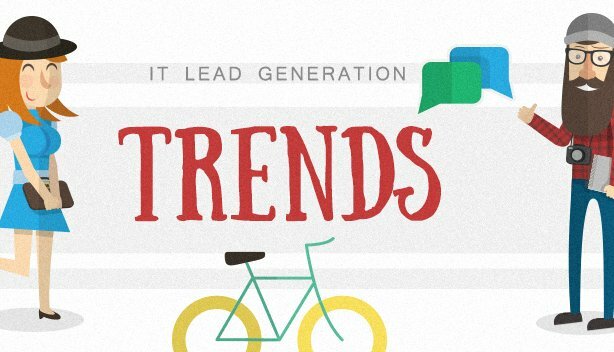 Helpful Resources: IT Lead Generation: Are you Riding on these Trends? Technical expertise: Noting the complex nature of printing products, Callbox mobilized callers with technical experience to discuss the significance and capabilities of the client’s offers. No call scripts were used, and therefore every engagement was handled competently using a combination of technical knowledge and proficient interaction with potential buyers. Overall, the campaign significantly reduced cost-per-lead by 40% on top of yielding 139 qualified leads for the client’s sales reps. This is a very good numbers for technology vendors. It would be safe to assume that the same results can pretty much be attained by VOIP businesses once they employ the three approaches. Improve your sales today, get qualified VOIP leads. Learn more about IT Sales Leads Inc.